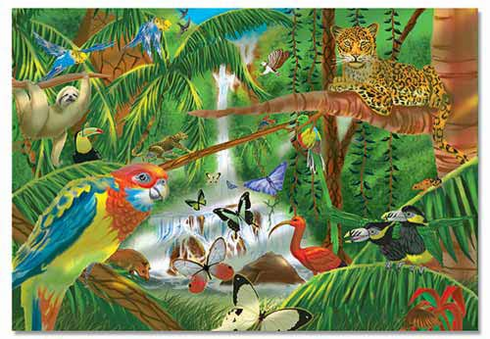 Animal, avian and insect life of the rainforest is featured in this durable, extra thick 200-piece cardboard jigsaw puzzle. With butterflies hovering above a waterfall and a cheetah on the prowl, assembling this puzzle will be a fascinating experience. A great value with bright, sturdy packaging that will withstand many uses! Made in the USA.